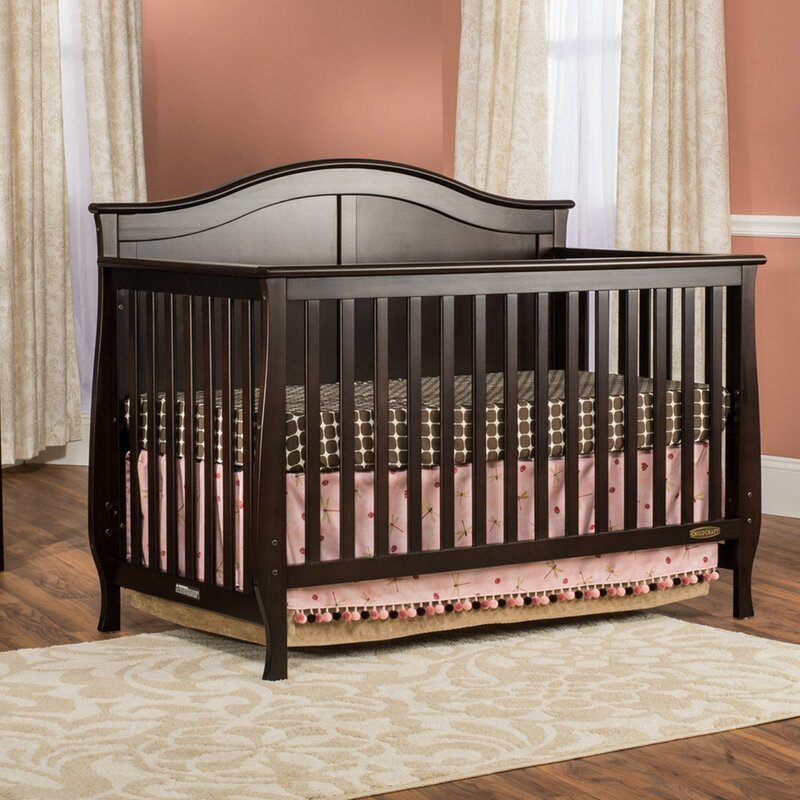 The Ashbury 4-in-1 Convertible Crib is adorned with elegant curves and luxurious details. The arched back-panel and thick slats are sturdy and provide solid support for baby. Winged corners and curved posts elicit traditional charm, and the spacious under-drawer provides extra storage for baby’s essentials. 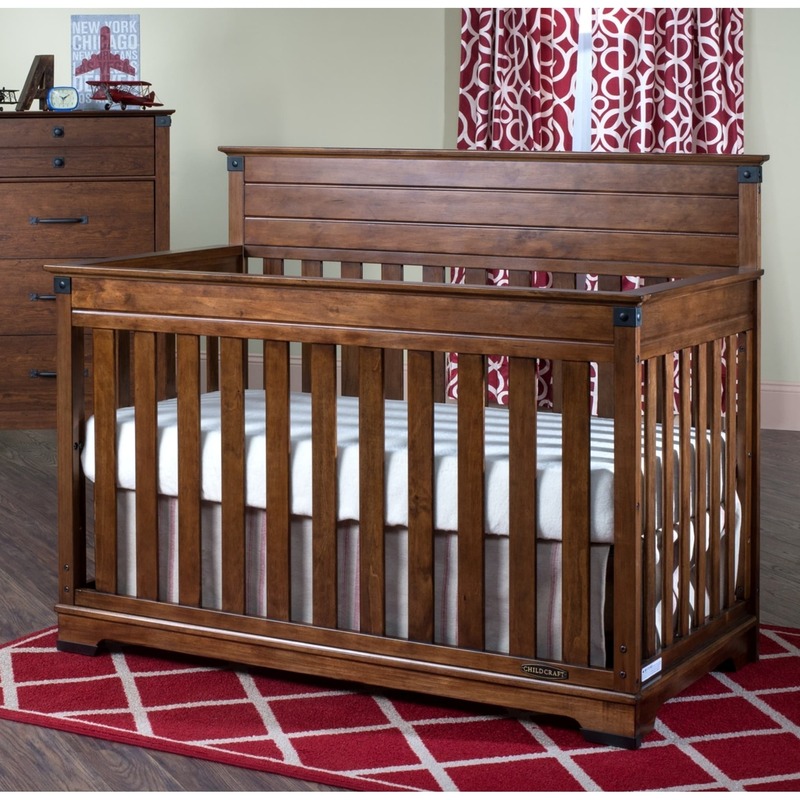 This unique four-in-one convertible crib from the Redmond collection adjusts so that your child can use it for years to come. Beginning as a crib, this piece can transform into a toddler bed, a day bed and a full bed. 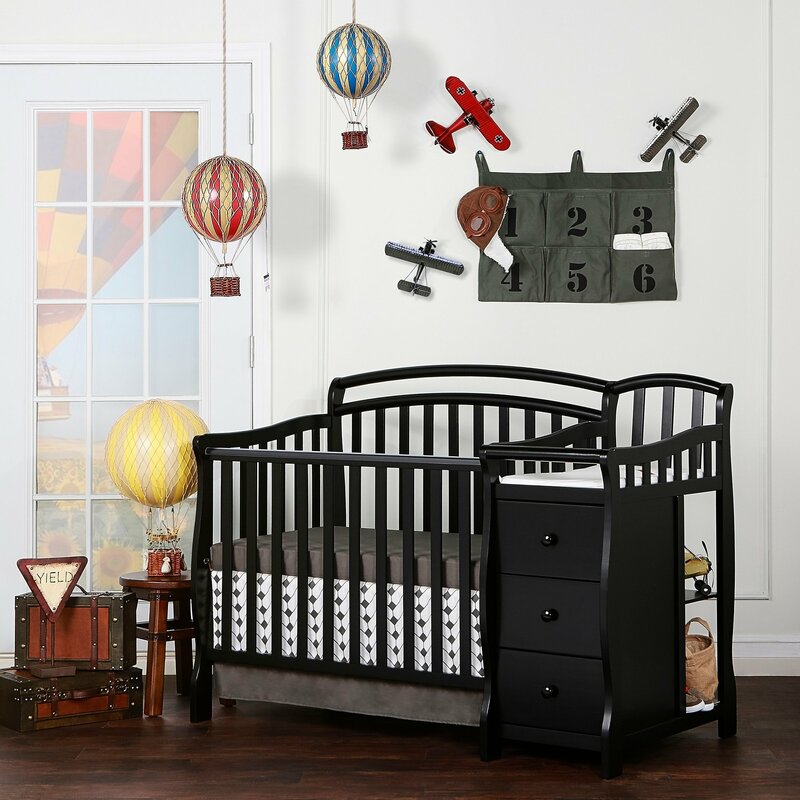 With linear patterns, a gorgeous cherry finish and wrought iron accents, this crib ensures that your child grows up in style.